ASSORTED BAKERY SAMPLER – MEDIUM. 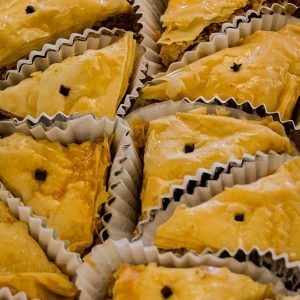 Selections of our most popular Greek pastries. 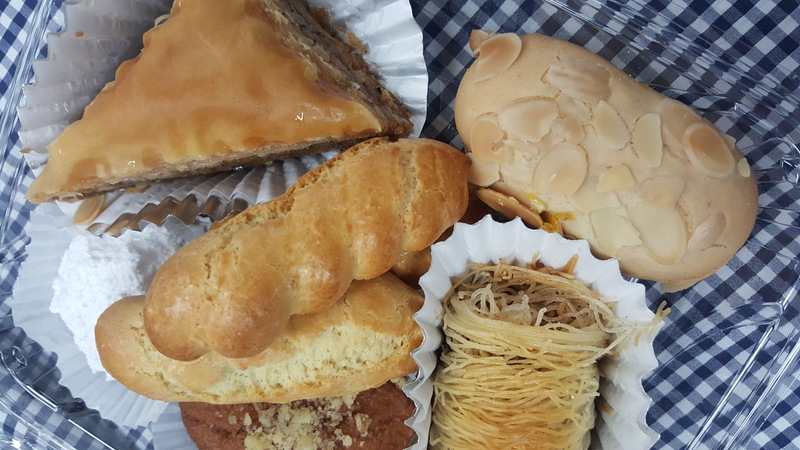 Our Medium Assorted Bakery Samplers contain one Baklava, one Kataifi, one Finikia, one Kourabiedes, three Koulourakia & either one Almond Cookie with a Cherry OR one Ergolavos Apricot Cookie. 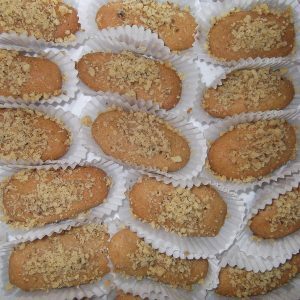 Just a taste, these make excellent gifts during any time of the year!